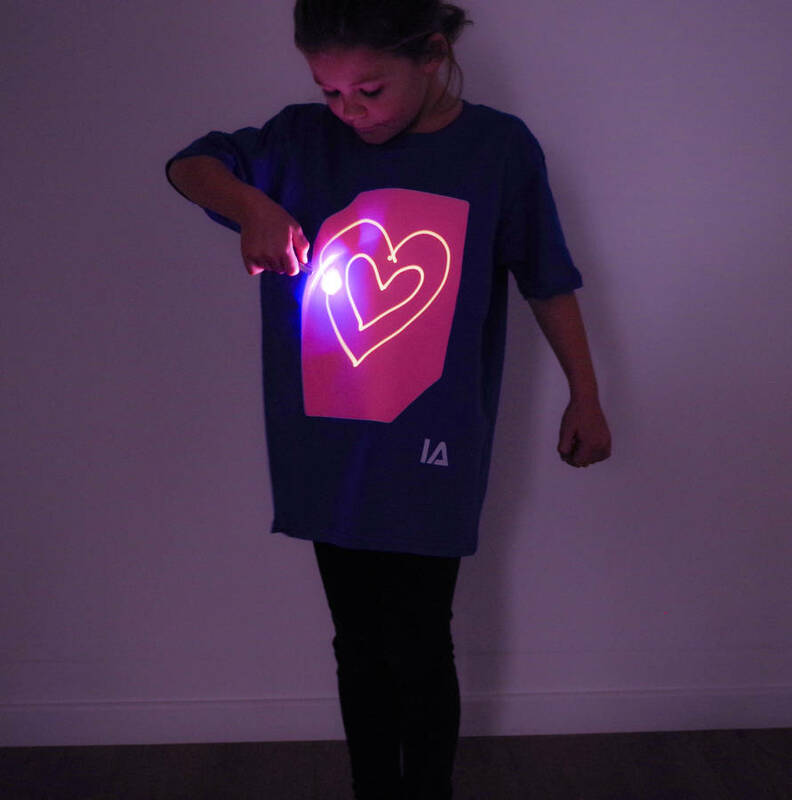 Interactive Glow T-shirt in which you can customise with light. 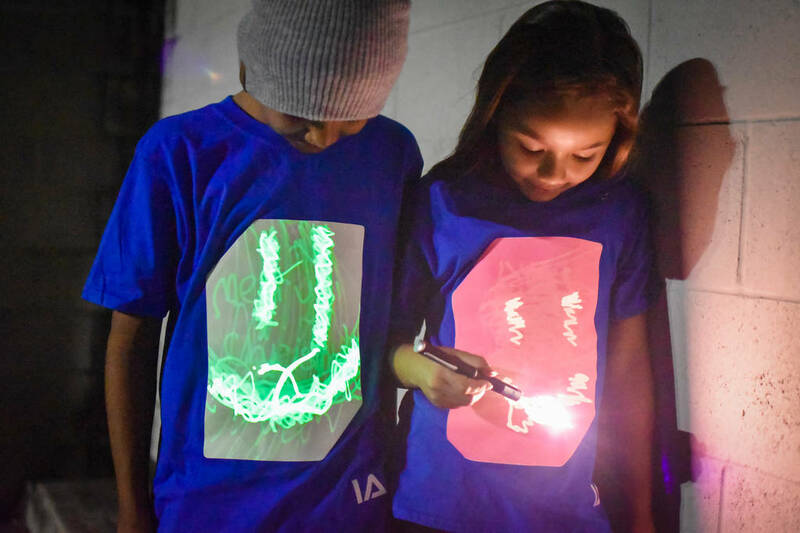 A unique interactive glow t-shirt for children; Using the included UV keyring, or a mobile phone torch or blue laser pen you can create your own designs on the clothing - again and again! They are perfect for everyone - whether you're at a festival, at home with the family, out with the friends, and kids love it too! The glow effect lasts between 5-10 minutes, before fading away completely. 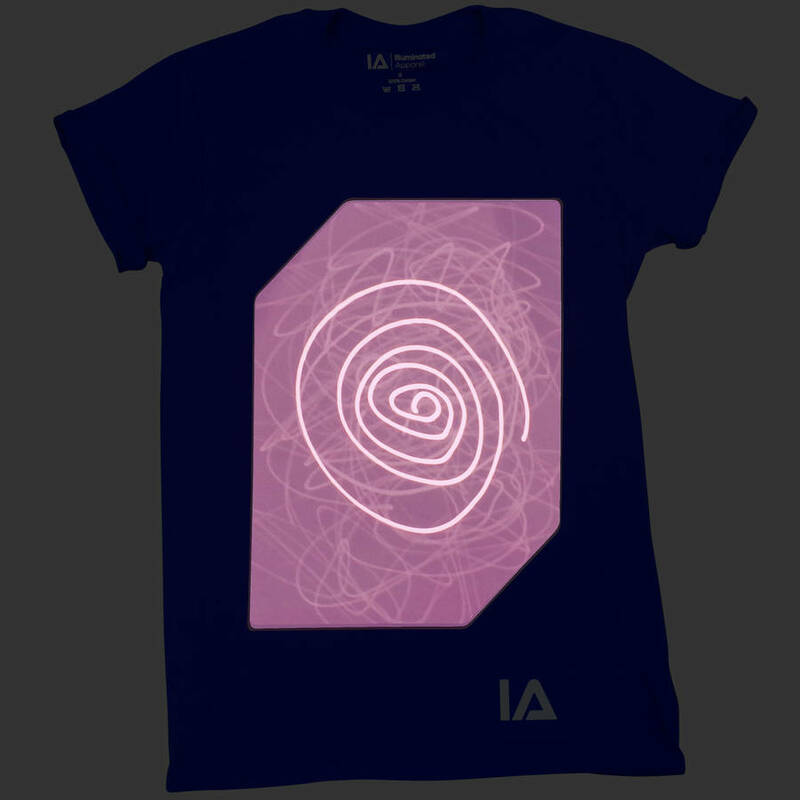 This means you can keep interacting with the t-shirt throughout your day or night. 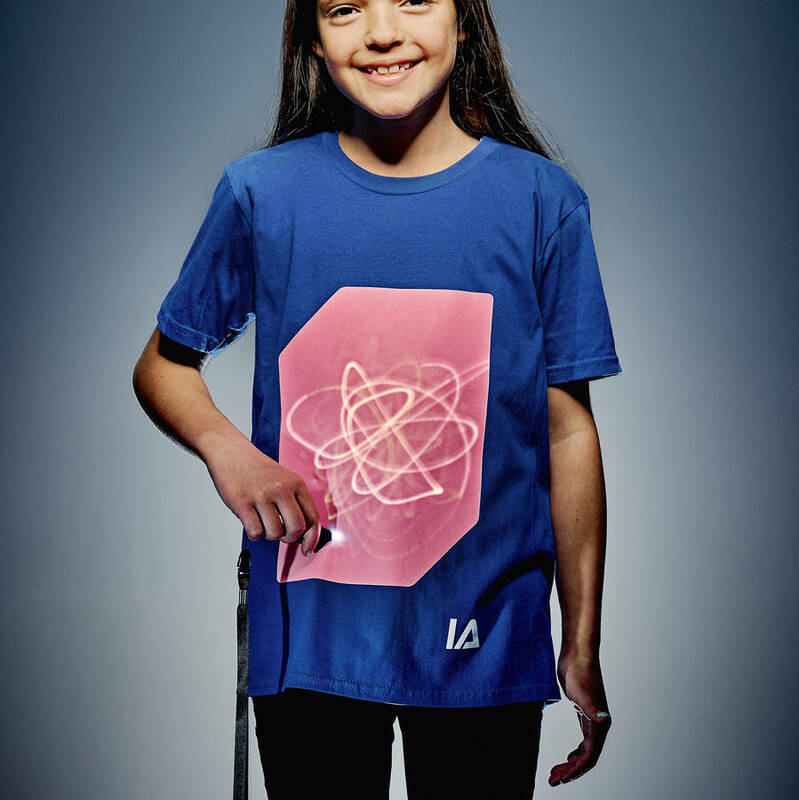 The T-shirts are machine washable, perfect for when you come back from a festival or a children's party. As they are 100% cotton, they feel great to wear due to the natural fibres. 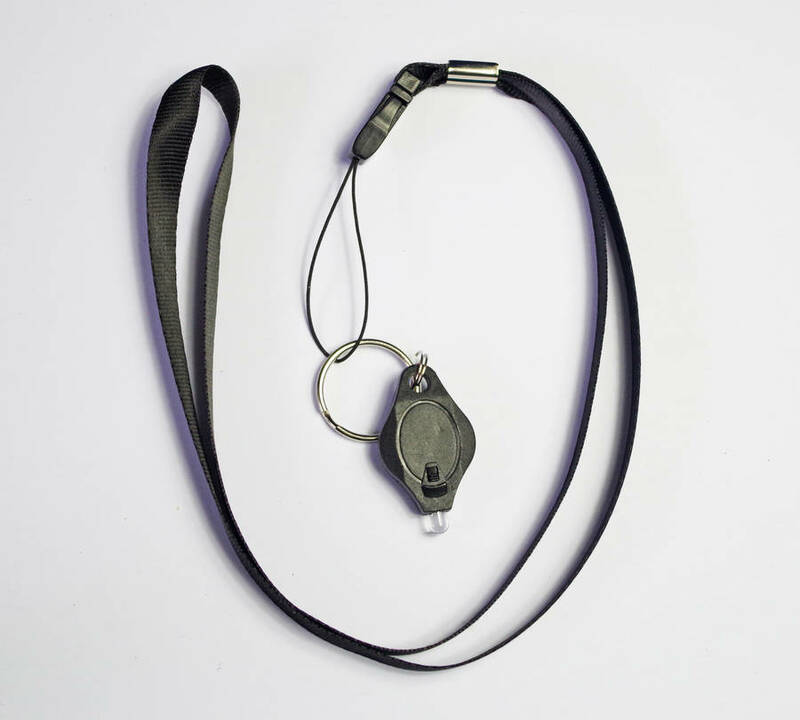 Each T-shirt includes a UV Keyring lanyard, allowing you to charge up the glow canvas. You can also create cool shadow effects from a distance. 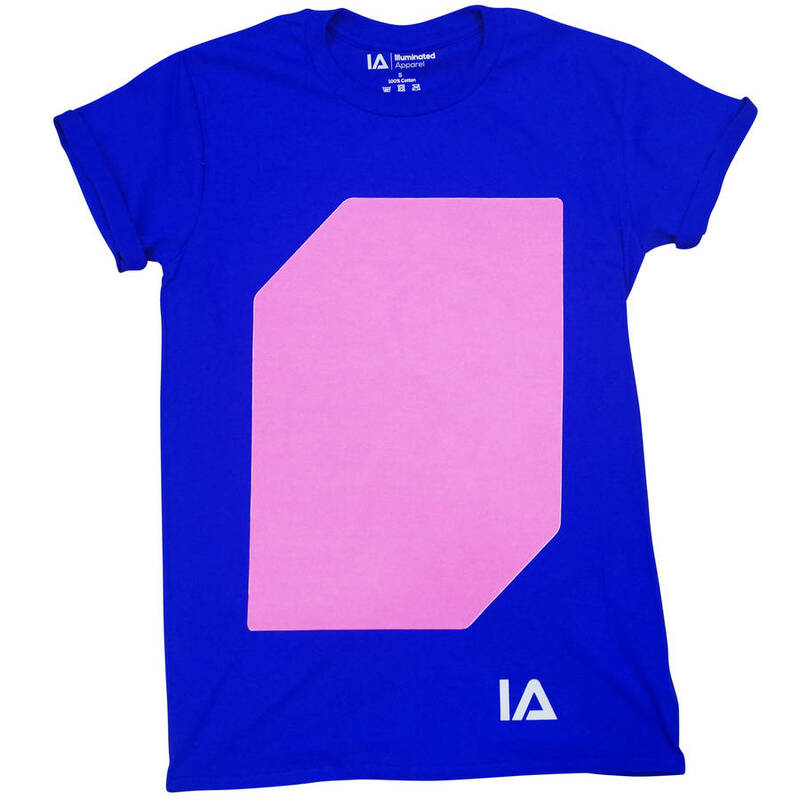 We also have other colours available! Please see our storefront for variations. 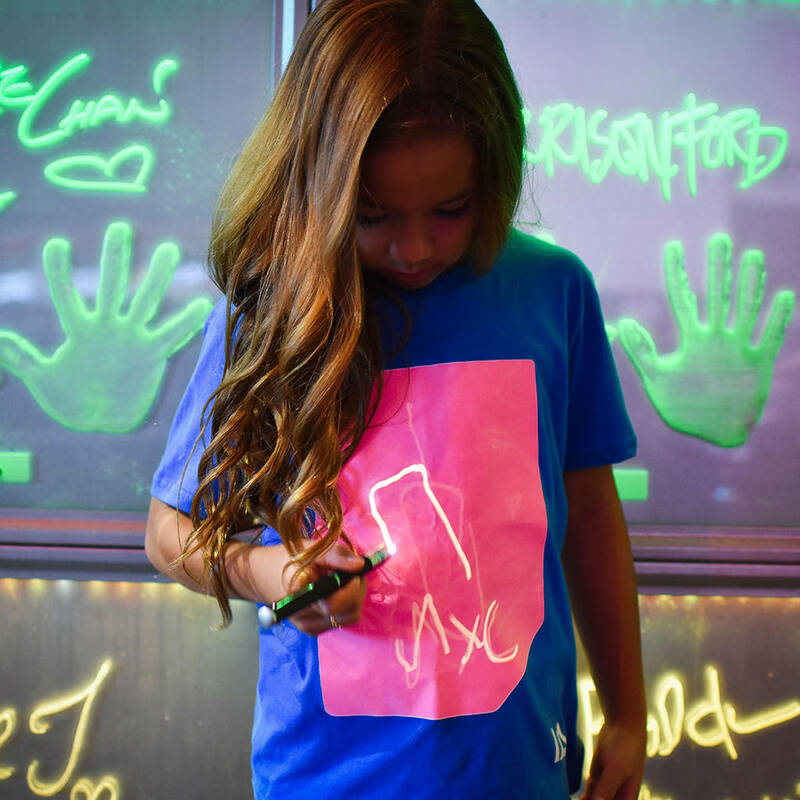 The T-shirts are fully machine washable following the care label. 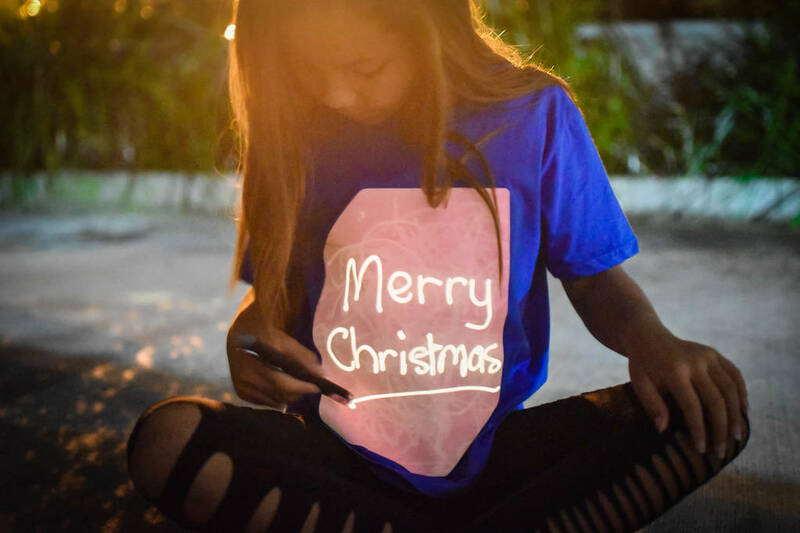 This product is dispatched to you by Illuminated Apparel.